Interframe offer a wide range of possibilities when a large opening is required to link the inside of a building to the outside. 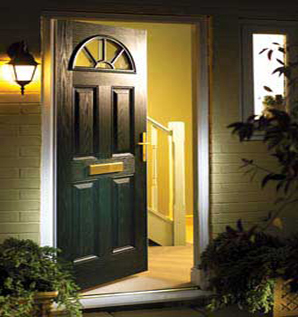 Our French doors provide great aesthetics, durability and are energy efficient. REHAU French doors are available in both the REHAU S706 70mm systems and REHAU Tritec 60mm profile systems, offering a range of colours and finishes to suit any property. All REHAU windows can achieve the minimum requirement, a C-rated Window Energy Rating (WER), and can therefore carry an 'Energy Saving Recommended' mark. is used. For windows this requirement is an overall U-Value of 1.6 W/m2K and for doors 1.8 W/m2K.